Today is Father's Day, at least in the United States. It's a day of appreciating one's father, and in our family it is one of two days every year when I get to have breakfast in bed. It is a day of reflection about my relationship with my kids and as pertaining to this blog, pondering whether my interest in space rubs off on them. 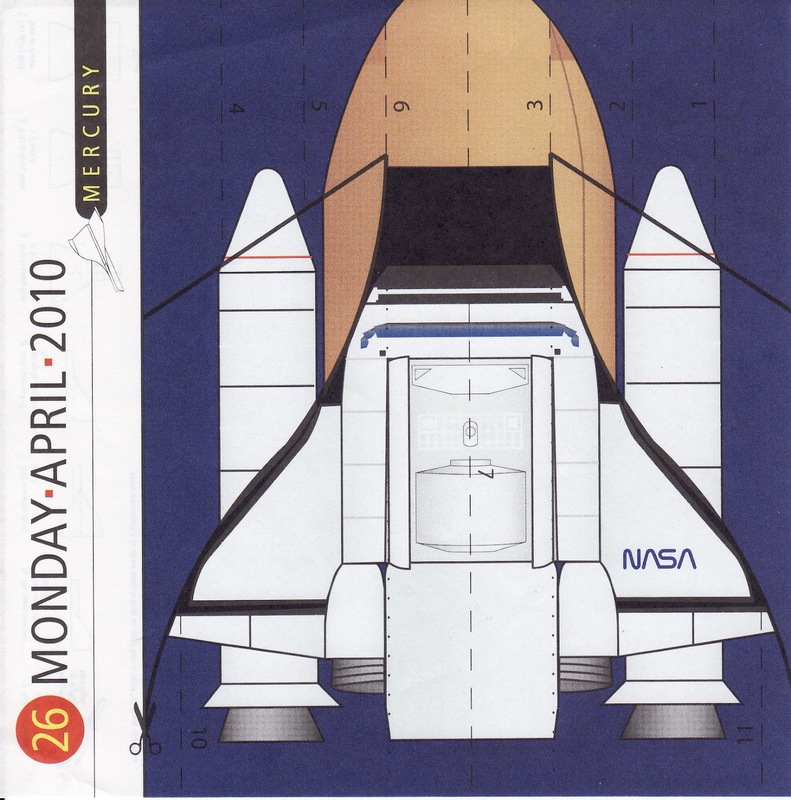 In 2010 we bought our kids a special calendar, where every day can be folded and/or cut into a different paper airplane. They were nine years old and it seemed like something they would take on and enjoy. They did (for a short time, at least) and then the calendar got "stuck" in some date fairly close to the beginning of the year. A few months ago my kids dug up the calendar and found a date that they thought would appeal to me, April 26. They brought the square piece of paper to me knowing I would get a kick out of it. 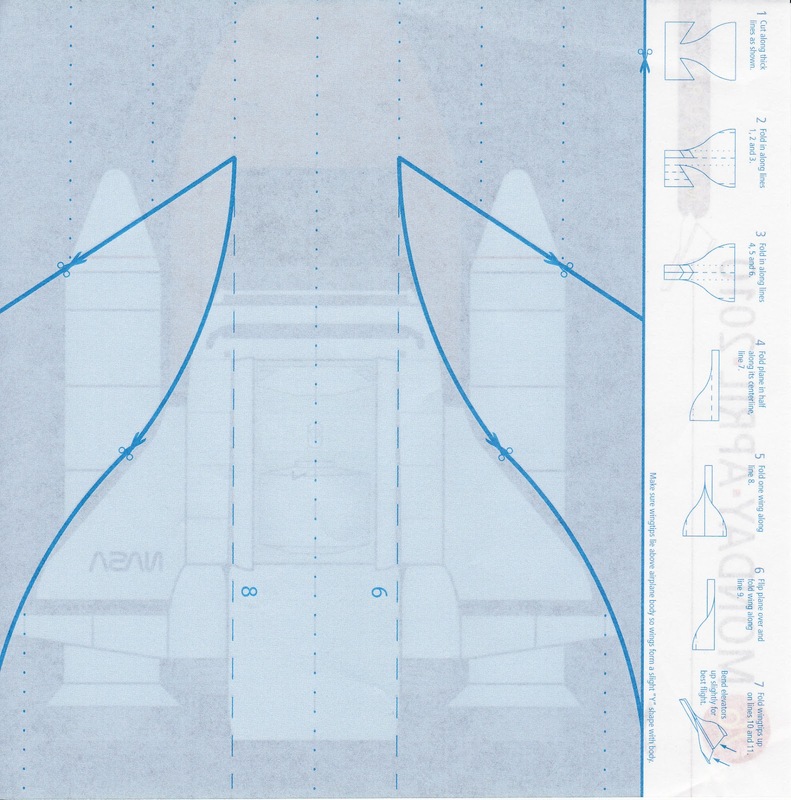 I has a rather fat hugely inaccurate drawing of a space shuttle and a designation of Mercury, supposedly the type of paper airplane that would be the result of cutting and folding. 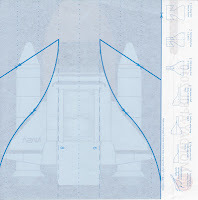 I got curious whether the choice of the calendar makers was intentional or not, so I looked at April 26 as a space date and April as a space month in regards to Project Mercury and the Space Shuttle. Project Mercury had two unmanned tests on April 25 and April 28 1961 (MA-3 and LJ-5B respectively), no real significance there. However, April was a pretty prolific month for the space shuttle. In addition to the inaugural Columbia flight on April 12 1981 (STS-1, 20 years after Yuri Gagarin became the first man in space and first man to orbit the Earth), 14 other space shuttle missions launched in April (15 total), second only to November, when 16 times space shuttles have cleared the tower in a blazing fiery roar. All other months have seen only up to 12 launches, some as low as 8. There were a few launches within days of April 26, with only one hitting the exact date - STS-55 in 1993, when Columbia hosted 7 astronauts for almost 10 days, achieving such feats as the first intravenous line in space and a total of 88 experiments ranging from materials and life sciences to Earth observations and robotics. Discovery was in space on April 26 1990 (STS-31), Columbia was in space on that date in 1998 for a second time (STS-90) and Endeavour in 2001 (STS-100). I can't be sure that the choice of April 26 2010 as the date for a space-shuttle-inspired paper airplane was intentional. I definitely enjoyed my kids bringing this small slice of space enthusiasm to me. Here it is, so you can print it, cut it and build your own. Better yet, do it with your father or children. Happy Father's Day!